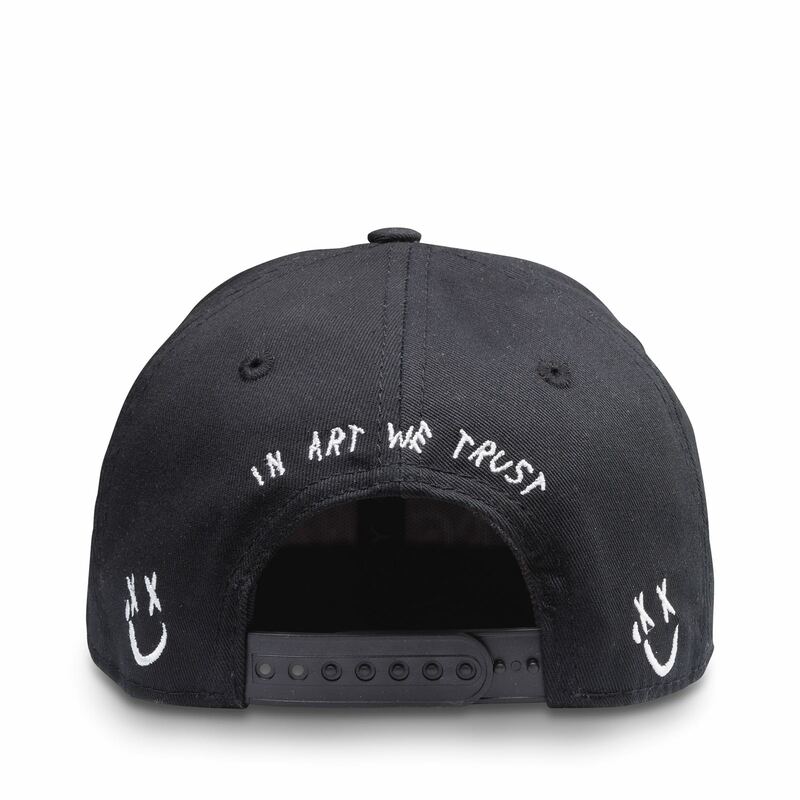 The story behind the Klibansky X Picasso cap started as a joke by the brothers Joseph and Louis Klibansky. For the full story, please scroll down. When they attended a charity car rally, they wanted to make a tongue in cheek statement implying that the new Picasso had arrived by striking-through Picasso’s name. To express their respect to an obvious art legend as Pablo Picasso they added a smiley face in the letter ‘O’. The cap got so much attention and exposure that it didn’t take long before friends and fans started asking for the cap in a big way. Now, 2 years after the event, this very special and sought after cap, that appeared in many of Joseph’s Instagram posts is finally available in a small quantity. Every cap comes in a beautiful art box.